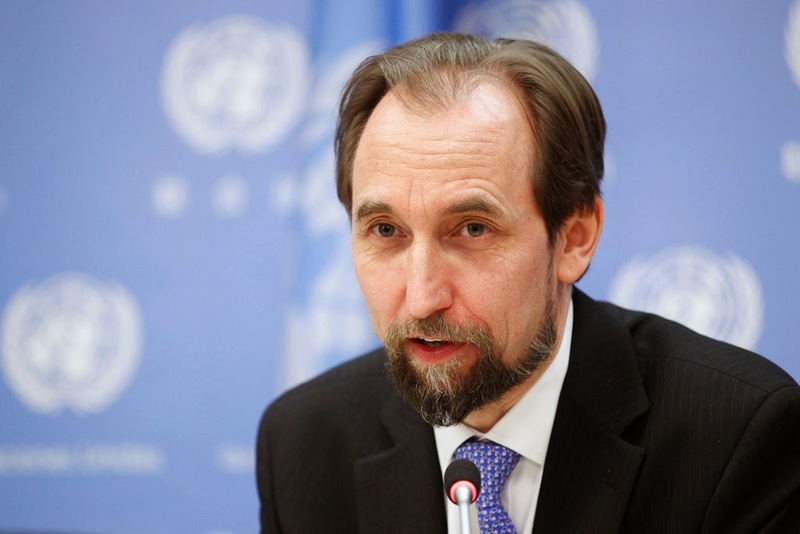 The United Nation's Human Rights high commissioner Zeid Ra’ad Al Hussein today urged Putrajaya to withdraw its proposed amendments to the Sedition Act 1948, warning that the new provisions would seriously undermine the freedom of expression and opinion in the country. He said the proposal also breached the Federal Constitution and the country's international human rights obligations. Zeid also expressed concern over the tabling of the Prevention of Terrorism Act (Pota) in Dewan Rakyat on Tuesday, saying that there were serious human rights shortcomings in the law. "The UN Human Rights Office has long urged Malaysia to either repeal the Act or to bring it in line with international human rights standards. He added that the proposal would widen the scope of offences and new provisions for travel bans were also worrying as they might allow for arbitrary restrictions against individuals on the basis of an ill-defined law. "These proposals are particularly worrying given that the Sedition Act has been applied in many instances to curb legitimate exercise of freedom of expression in Malaysia – including through arrests of individuals for merely tweeting their criticism of government policies and judicial decisions," he said. Zeid also urged Putrajaya to review cases of all those who have been charged under the Act. "Silencing dissent does not nurture social stability, but an open democratic space does. "Curtailing the legitimate exercise of human rights in the name of fighting terrorism has been shown, time and again, to backfire and to only lead to festering discontent and a strong sense of injustice." He said as chair of Asean, Malaysia should ensure that its leadership role at the regional and international levels is backed up by a firm commitment to ensure the human rights of all in Malaysia. – April 9, 2015.